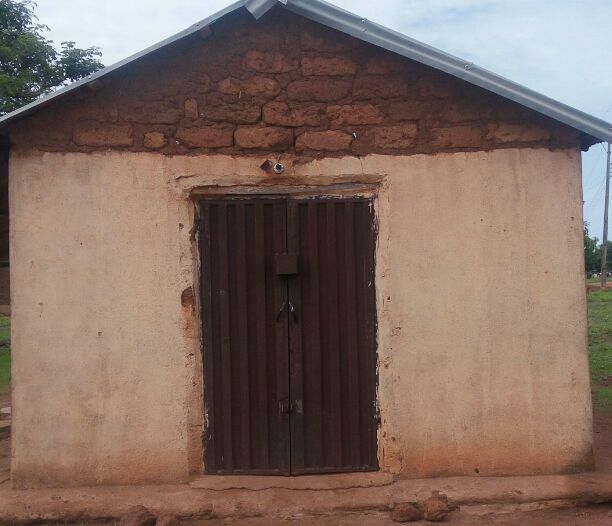 BUGAI-KUJAMA, a village at Chikun local government area of Kaduna State, Northwest Nigeria is less than 30 minutes drive from Kaduna, the state capital but has little or nothing to show for sharing a boundary with seat of power. This village, where thousands of locals live and earn their living are loosing their pregnant women and infants due to lack of access to health and water facilities at least, none within about four kilometre radius. The people of Bugai are undoubtedbly representing others in their category where there is little or no presence of government as regarding the provision of basic amenities despite their involvement in electoral processes. As at the time this correspondent visited the community the only make-shift chemist store that serve the medical needs of this people including child delivery was under lock and key because the operator has a function to attend in another community thereby unconsciously left her clients in euphoria of herbs until she returns from her outing. Now, from what was gathered from the locals, the middle-age woman who operate the chemist store (not on ground) is sole responsible for taking delivery of new live births with assistance of other women in the community since her arrival decades ago. And that means, safety of mother and child at any giving point in time cannot be guaranteed as many have said to have died while the family accept such as an act of God. The cross-section of locals interrogated also hinted that, severe labour cases are been transferred to Primary Health Care (PHC) centre or general hospitals which are located kilometres away from them. To transport the unlucky pregnant women to these facilities are usually herculean task because the shaft road that links the village with neighboring communities is in deplorable state, even the tricycle ambulance promised by the state government is not there yet, but rely solely on motorcycle as means of transportation whenever that need arises. The people in this community speak Gbagyi and Hausa languages with farming as their major occupation though at low scale level. The fertility rate is very high hence the rapid increment in the population of Bugai-Kujama as evident in the number of children that welcome Daily Sun to their community. In an interaction with a 40-year-old Community Care Manager who work for Archdiocesan Catholic Healthcare Initiative (ACHI), a non-governmental organization that has been working in the community for sometime now, Samuel Akawu, he revealed that his community has suffered untold hardship as regarding simple basic amenities which has led to untimely death of many members. He said the two handheld boreholes that supply water to the community have stopped working shortly after they were sunk which had led to people resolving to drink from Mashan (a small river) shared with cattle and other animals. According to Akawu, “We are just on our own in this community. We are three different communities but share this primary school. We are farmers and we speak Gbagyi and Hausa languages. We have been living peacefully with one another because we have few Muslims among us. Okay, we don’t have any clinic or PHC here at all. We rely on this (pointing at) mini chemist store for drugs and when the woman in charge don’t have or not available, then we need to go to Kaduna to get some. “No single woman that lives in this place has ever been to hospital for antenatal let alone anyone go for medical check-up either as pregnant woman or just an individual all because there is no any facility that can render that service. This has led to death of many women in the course of given birth. “I am married with six children from one wife and all of them were giving birth to in my house with the help of the chemist and other women. I know of child-spacing and as a matter of fact, my wife is using a method now because we have stopped making baby. The child-spacing knowledge is not strange to us here and we know its value. But because we don’t have the service providers here, many people don’t have access to the service. “Whenever we have any pregnant woman in difficulty, we just rush them to PHC in Kujama or Sabon Tasha Kaduna on Okada. It is sometime a big risk for the mother and child but that is what we have. Unfortunately our children who have gone to school to study Medicine are not ready to come back to the community because no hospital to work. “As a community, we would have lived to build an hospital but we cannot afford it. In fact as I speak with you, we have built a secondary school but we are waiting for government to equip it and make teachers available there. That is to show you that we are trying but our trial is not just enough. We need timely intervention here. On water challenge he said, “the two handheld boreholes we have are no longer working. The first one stopped working about ten years ago and the second one also stopped working two years ago. We have since returned to share the small river here called Mashan with animals. “There was a time Kaduna State water board people came and sank a mechanised borehole in our community. But immediately they finished and put it to use, some unknown people came and removed the pumping machine. We woukd have protected it if they had tokd us to do so. As a result, people had returned to the river as it was from the onset. “Our challenges here are just many. The poor road is what other challenges depend on. Like I said earlier, no PHC, no secondary school yet. Some of our children after primary school do go to boarding school in Kujama which is within the local government, Kajuru and Fadan Kaje, Kachia local government and Sabo”, narrated Akawu. 15-year-old Obed Daniel who pleaded a stop to violence against children, lamented the spate of crime committed against children in Nigeria especially those in rural areas like his with low reportage which he said has also made it difficult for policy makers to rise to the occasion decisively. According to Daniel, “we are not happy with bad news we do hear about our mates elsewhere and even in our state. Violence against children is been under reported and that has made it difficult for policy makers to address problems children face today. “But we are aware of the fact that there are underlining factors such as poverty, ignorance, illiterate and cultural belief that have made it difficult to report many cases because of fear of reprisal attack. I think our parents, religion and traditional leaders have work to do. “Child molestation by caregiver, relatives or parents can be prevented by avoidance of unwanted pregnancies, hard drugs, substance abuse and making scape goats to serve as deterrent to others who violate children rights whether as close relative or stranger”, Obed pleaded. With testimonies such as Akawu and Obed’s, there is a need for urgent intervention by government, corporate organizations and spirited individuals to come to the aid of these people at least for the sake of women and children who are more vulnerable to the threat these challenges may pose to them. Already, ACHI is working on nutrition, maternal health among others in their midst but then, a lot still has to be done to safe these helpless community who seem to be living in their own world. Monitoring and Evaluation Officer of ACHI, Patrick Victor also stated that, the Bugai community is one among several communities his organization is currently working people in the city are the ones enjoying the basic needs the government provides. “We have discovered that over time, the grassroot which our basis are usually not in the quick response book of policy makers may be due to ooliticka or economic reasons. People here are Nigerians but don’t enjoy what others are enjoying even at basic level. “That is why ACHI after deep research decided to bring our services to the people here no matter how little it may look which we hope would attract sympathy from government, corporate organizations and individuals from within and outside the country. They don’t have common PHC and you know what that means. I think we have a lot to do in this country especially in our health sector. “If the people here can enjoy the basic amenities at its lowest like I pointed out earlier, many of them will remain here and earn a living. That will decongest towns and cities while their health status will also improve. Health is wealth and any investment on health will yield multiple interests in the long run. “We are working here in Bugai 1, Bugai 2 and Bugai centre to see how they can have a healthier life. We are doing this by a way of training and retraining of locals here. For instance, some of them have been adequately equipped with nutrition training. They now understand what constitute balance diet and that has reduced malnutrition cases we saw when we came in. In addition to that, as a result of lack or inadequate basic amenities in communities like Bagai, some unscrupulous fellows are using that to coarse parents to unknowingly give out their children to them for selfish interest. What these people do is to capitalize on lack of school for instance, ask parents to let them go with their children so they could help put them in school in the city. “But when they eventually take these children to the city, they use them for all manners of indigent engagements like hawking, housemaid, prostitution and what have you. Thus is human trafficking in disguise. So, if we have these amenities in place across the country, it will reduce trafficking in person drastically. “I was so amazed when the children raised the issue of violence against them. It means they know what is happening and I think people at position of authority should understand their request and see what they can do about it. And to rise to the occasion, we need to start with the right legislation though there are many NGOs like ACHI working hard to reveal problems that those in villages are facing for the single purpose of provoking others to action especially the policy makers and interest groups”. But the Kaduna State Government under the current administration of Governor Nasir El-Rufai has promised to standardize at least, a PHC in each of the 255 political wards in the state which is why the state introduced a law establishing the PHC under one roof, a system that brings all components of primary health care under one management. To this end, communities like Bugai can only sigh a fresh relief when Kaduna State Government fulfil its promise of revamping its disused health facilities spread in towns and villages across the state or other interest groups like UNICEF, NURHI, UNFPA among others get wind of how women and children die when they can actually live, then Kaduna state and indeed Nigeria can scale up its status of becoming a developed country because her health is vital point in global ratings.